Emoji are becoming more and more a part of language these days and because of that, there has been more attention paid to how inclusive emoji sets are. We've already seen additions of emoji to represent different races and sexual orientations, but now Google is proposing emoji to better represent women in the workforce. Google has proposed 13 new emoji that would be a combination of either a man or a woman with another emoji in order to arrive at a profession. So, add a tractor to a person emoji to get a farmer, or add a frying pan to get a chef, or add the devil horns hand emoji to get a rockstar. Adding existing emoji together may make it easier for the Unicode Consortium to add the new options. Google is including both male and female options for the various professions in its proposal, but makes it clear in its presentation that Google was inspired by a recent New York Times op-ed called "Emoji Feminism" where it was noted that in the current emoji standards, "Men were serving on the police force, working construction and being Santa. Meanwhile, on our phones, it was Saturday at the Mall of America — women shopping while men wrote the checks." 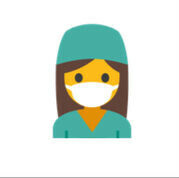 Google said it believes these emoji can have a positive impact by depicting women across a representative sample of professions, with the hope of empowering young women and "better reflect the pivotal roles women play in the world." If Google gets its way, the new emoji could be approved as soon as the end of the year. Barbie in in the house. What's not to understand? Barbie in in the house What! What!. Notice how those are exclamation marks and not question marks. I support it, I'm pretty much a feminist so i'll use them. Yeah they can't just pick and chose so I'm sure you'll get your vegan emojis someday mate. are you one of those feminazis who look like those large manly women who dont know what gender they really are? No, I'm a straight male who looks like a straight male. but a feminist. you are a traitor of your gender. or maybe a gay? People who aren't for equal rights between both genders are traitors to humanity. I'm not gay but I don't like how you imply that gay men are feminist because that's not true, do you think lesbiens aren't feminist lol. Just what we need, more pro-feminist agendas being shoved down our throats. Ah yes, the agenda of being treated fairly. You must hate every woman in your family. Do they ask for only women scientists emojies ? If they are just adding women alone or men alone then it is actually against real feminism or equality which demand for equal right for both men and women But if it was men and women scientists then good for them. nope just feminists who think feminism is a good thing. it isnt. there is no equality. they want it all. Using WORDS are less confusing than these EMOJIS. Remember the old good days when emojis were used to only express our emotions? Like,"happy" or "shocked" or "upset"? Yeah, me too, but now it's a bunch of random sh*t and the list keeps growing on. They should just go back to the raceless, genderless, yellow circle/blobs. That would solve everything by showing that emojis don't not to be inclusive to any real people because they are just cartoons to represent emotions. Good for women I guess..
will they make an emoji of a woman who pays for the entire meal ( not just her plate), pull out my chair, pay for the movie, pick me up, and drop me off at home?